Excise, Taxation and Narcotics Control (ET&NC), in collaboration with Punjab Information Technology Board (PITB), has launched smart card as new registration certificate throughout the province. The authority has taken the step to give relief to the people of the province. 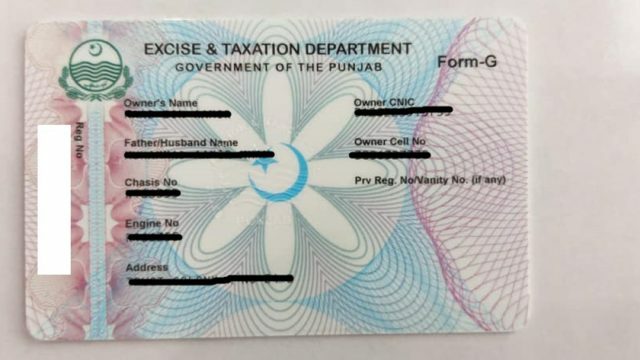 A spokesperson of the excise department of Punjab, while speaking with PakWheels.com, said that they have formally received notification to issue the smart card to the people; vehicle owners can come to the excise office and can get the card made for PKR 530. However, it is not mandatory for vehicle owners to get the smart card, they can still use their cars and bikes with the previous registration book. Furthermore, if the card gets damaged it can be re-issued to the owner without mentioning duplicate on the card. Additionally, the new automated card features a Near Field Communication (NFC) chip which helps verify the card details and displays expiry date of the token tax. The newly launched smart card features the name Owner’s name, mobile phone number, CNIC number, Chassis No of the car, Engine No, Address of the owner, make, body type of the vehicle, maker name, seating capacity, horsepower, colour, Laden weight, year of manufacturing, and the information regarding token tax. The launch of the smart card was postponed almost three to four times in the past due to unknown reasons. 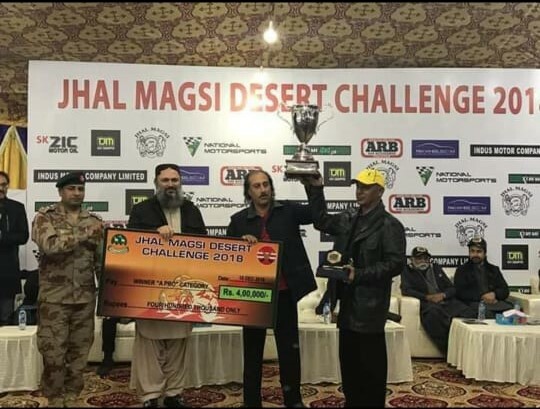 Note that, the initiative of this card was taken in the previous Punjab Government and the then CM Punjab Shahbaz Sharif commissioned the project. Commenting on achieving this milestone, a senior official of the excise dept asserted that the Government is committed to digitizing the process of vehicle registration through this process, it will remove the hassle of keeping a big and fragile registration book, which wears out quickly and is a problem to carry around, he added. 7 to 8 thousand cards will be issued every day at the initial phase and with time the capacity will be increased. That’s it from our side, drop your thoughts in the comments section below. Another item to get easily lost. No thanks! So many countries use this system , i have cars ever since 2000 with these cards system where i live . never lost one , and its not a million rupees card that you loose it and cant get a replacement . I do agree with u Sir. Everyone in the world is dumping out of these paper based stupid files and registration books. why does it matter who was the first owner ? where i live we have a simple system which i think should be implemented in pakistan too . 1 buys a car registers it gets ownership card and when sells the new buyer gets a new card . all the records are online in a system . accessible to police . even if you have to get a new card every year it doesnt matter the card not gonna cost a million rupees . for sure if one can afford a car or bike he can afford these things .